What makes a child go from being an emergent reader (a reader who enjoys listening to stories and pretend reading) to a beginning reader (one who actually reads the words). Well, concept of word, of course. Concept of word, also known as COW is the ability of a reader to understand that spoken words match the printed text on a page in a book. Emergent readers pretend read, tell the story in the book using the pictures, and are learning letters. But once a child learns that each and every word on a page matches a word that is read aloud, the child makes the transition to a beginning reader and the real fun begins. (Don't worry, beginning readers enjoy listening to stories just as much as emergent readers do). It occurred to me just the other day that over the course of the next year my four year old son will be entering kindergarten (the grade level that I teach) and he will at some point be making the transition from emergent reader to beginning reader. It seems kind of crazy to think about him being old enough to read, I mean I was just changing his diapers a few days ago, right? Well, maybe it has been two years, but in all seriousness he knows all of his upper and lowercase letters and most of his sounds, so he's ready to at least be introduced to the idea that each word I say when I'm reading his bedtime story is actually printed out on the page. Will he learn it in his own time if I do nothing and leave him to learning everything at school? You bet, but with my background in reading education, I'd love to have the credit of teaching my own child how to read. How do you teach concept of word? Great question. Start by teaching your child easy nursery rhymes, poems and songs. (I told you those nursery rhymes are important.) Then find the nursery rhyme, poem or song in text. Not just the tiny print 100 nursery rhyme book, but one rhyme that comprises an entire book. 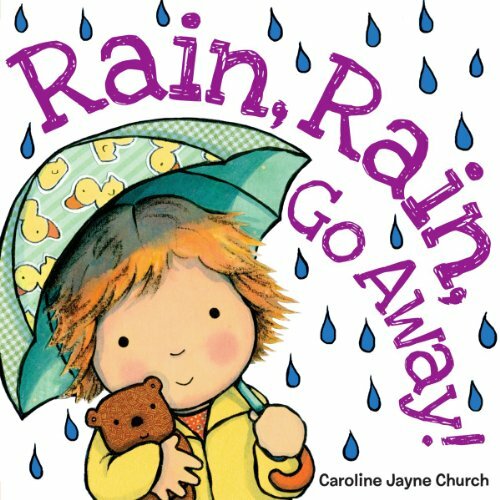 For example, in my house we have Rain, Rain Go Away! 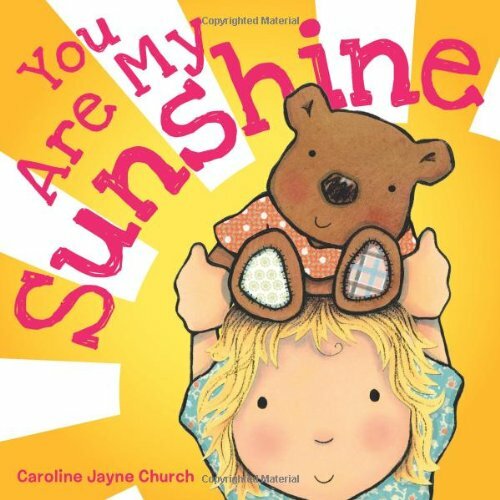 and You Are My Sunshine illustrated by Caroline Jayne Church. Both books contain a simple childhood song with a few words of on each page. Perfect! In my classroom most of the songs and rhymes we learn are written on chart paper. You can write up songs and poems on chart paper too, but I was trying to be more at home friendly with this. When you find a suitable book, then you sit down with your little one, like I did with my son tonight, and before you open the book, begin by singing or saying the rhyme. We did "Rain, Rain Go Away!" I started by asking my son if he remembered the song "Rain, Rain Go Away!" He did, of course. That's the other thing, you have to teach them the rhyme or song first so they have it memorized. My son already knew the song we were going to read, so I could just jump right into the book. We sang the song together and then I opened the book and I pointed underneath each word as I sang the song again, this is called tracking. Next I asked him to track the words while singing the song with me. I held his finger and moved it under each word as we sang so he could see how we moved from word to word while singing the song. When we sang the word rain, we pointed to the word rain and so on. We did this twice together and then he declared that he could do it himself. And he did, with perfect correspondence with spoken to pointed word. Don't worry if your little one gets tripped up by two-syllable words, they tend to be tricky and kids definitely want to move their finger two times for the two syllables. So my son pointed with one-to-one correspondence, does that me he has concept of word? No, but it's developing. After your little one can point to the words in the rhyme, go back through the book and without rereading the rhyme aloud, point to a random word on the page and ask what that word is. I typically choose the first word of the rhyme and change it up after that. So, I pointed to rain and my son said, "Rain." I thought, "wow, okay, does my son have concept of word and I don't even know it?" Then I turned the page and pointed to go and he said, "go away." Which tells me that he doesn't quite know that each grouping of letters separated by space is one word. I pointed to a few more words in the book and he continued to recite parts of the rhyme, which is a great first step. We will keep working on tracking familiar rhymes and songs in books and going back through the book to point out words until it clicks. Now, if your kiddo is correctly identifying all of the words that you point to when you go back through the rhyme, then you can take it one step further. Make a list of 5 to 10 words from the rhyme in a random order on a blank sheet of paper and tell him/her that these are words from the story. If your child can read all of the words outside of the context of the story in addition to correctly tracking and identifying words in the context of the book, then you can safely say he/she has concept of word.